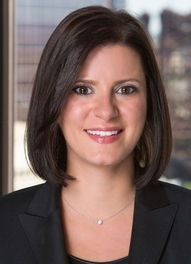 Susana Cruz Hodge focuses her practice on class actions, commercial litigation, and appeals. With respect to class actions, Susana specializes in product liability and consumer fraud cases. In her capacity as a commercial litigator, Susana represents parties in general business disputes arising from breach of contract and fraud, including matters involving construction and suretyship law. In her appellate work, Susana has won appeals in cases involving constitutional and employment law, rent control, and commercial leases. Prior to entering private practice, Susana clerked for the Honorable Thomas J. LaConte, J.S.C., in the Superior Court of New Jersey, Passaic County. Susana has briefed and argued before the United States Court of Appeals for the Seventh Circuit, the U.S. District Court for the District of New Jersey, and the New Jersey Superior Court. She has also participated in appeals to the Supreme Court of New Jersey, the United States Court of Appeals for the Third Circuit and to the Appellate Division of the New Jersey Superior Court. Susana is co-author of the chapter entitled “Class Action Litigation” in New Jersey Federal Civil Procedure, and has been a panelist in various seminars such as “Significant Developments in Class Actions,” hosted yearly by the New Jersey Institute for Continuing Legal Education, and “The Evolving Nature of Class Actions,” hosted by New Jersey State Bar Association. Susana was a member of the Lite DePalma Greenberg teams that litigated consumer fraud and product liability class cases, including cases involving fraudulent charges assessed by major rental car companies and the manufacturing and sale of defective consumer products. Currently, Susana is a member of a litigation team pursuing class actions against various pet food companies that manufacture foods containing high levels of heavy metals, BPA, and toxins such as pentobarbital. Susana is also currently involved in several class actions regarding defective consumer products such as iPhones and household appliances. In her capacity as a commercial litigator, Susana represented a major food and beverage company in recovering millions of dollars fraudulently converted in a Ponzi scheme. She has also represented a struggling local business in closing its doors without filing bankruptcy, which involved negotiating settlements with nearly 100 creditors and successfully pursuing claims against various debtors. Susana has investigated, negotiated, and litigated claims by subcontractors and material suppliers in a range of construction-related contractual disputes. Susana has also filed and defended commercial and residential construction liens, and payment and performance bond surety claims in cases involving public and private construction projects. Susana independently manages complex litigation, with a focus on strategic motion practice and in-depth discovery. In her involvement in class actions, Susana has successfully obtained pivotal discovery rulings and defeated dispositive motions. In several of the cases she has defended, Susana obtained dismissals at the threshold by engaging in pre-answer dispositive motion practice that provided significant cost savings to the firm’s clients. Susana has also participated in various class action settlements, such as Cole v. NIBCO, Inc., No. 13-CV-07871-FLW-TJB (D.N.J. ), a case involving defective plumbing piping, tubing and fixtures that resulted in a nationwide consumer settlement worth $44 million, Schwartz v. Avis Rent a Car System, LLC, No. 11-4052(JLL) (D.N.J. ), a case involving fraudulent fee charges that resulted in a nationwide consumer settlement worth up to $13 million, and In re Shop-Vac Marketing and Sales Practices Litig., No. 4:12-MD-2380 (M.D. Pa.), a case involving misrepresentation of the peak horsepower of wet/dry vacuums that resulted in a nationwide settlement fund valued at $174,250,000 million. While at Lite DePalma Greenberg, Susana has also litigated cases involving municipal tort liability, rent control and police-related civil rights defense. As part of her involvement in the New Jersey Appellate Division’s Pro Bono Civil Pilot Program, Susana has successfully moved for temporary relief before the New Jersey Supreme Court and avoided her client’s eviction. Susana has been named a “Rising Star” by New Jersey Super Lawyers since 2014. From 2009 through 2010, Susana served as an adjunct professor at Seton Hall Law School, where she taught Legal Research and Writing to first-year law students. She has also served as court-appointed attorney in surrogacy matters, and as a volunteer judge for the Bergen County Mock Trial Competition. Susana is a member of the New Jersey Bar Association as well as the Association of the Federal Bar of the State of New Jersey. Susana speaks Portuguese fluently and is conversant in Spanish. Bruce D. Greenberg was a moderator and Susana Cruz Hodge was a panelist at the New Jersey Institute for Continuing Legal Education’s seminar titled “Significant Developments in Class Actions” on April 11, 2018. Susana Cruz Hodge participated as a panelist at the Prevailing Trends in Class Action Litigation seminar sponsored by New Jersey ICLE. Bruce D. Greenberg and Susana Cruz Hodge were quoted in a Law360 article about their participation on a panel titled “The Evolving Nature of Class Actions” at the New Jersey State Bar Association’s Annual Meeting. To read this article, click here. Susana Cruz Hodge was included in an article on Law360.com, “Avis Can’t Escape Reward Program Fee Class Action” (August 7, 2014), covering a federal district court’s rejection of the car-rental company’s bid to toss a class-action suit, and its ruling that the plaintiff has standing to pursue the suit. Susana Cruz Hodge was included in an article on Law360.com, “Shop-Vac, Lowe’s False-Ad MDL Trimmed to 2 Lead Plaintiffs” (July 18, 2014), covering a Pennsylvania judge’s acceptance of a Lite DePalma Greenberg motion on all issues except one. Susana Cruz Hodge was included in an article on Law360.com, “Sun Pharma Can’t Quell Patent Feud Over Epilepsy Drug” (October 7, 2013), covering a New Jersey federal judge’s refusal to dismiss claims against a pharmaceutical company in a patent suit over a generic version of an anti-epilepsy drug. Susana Cruz Hodge was included in an article on Law360.com, “Avis Can’t Race Past Consumer Suit Over E-Toll Fees” (April 12, 2012), covering a New Jersey federal judge’s refusal to toss a proposed class action claiming Avis Budget Group Inc. did not tell customers about hidden fees. This month, for at least the fourth time¹, the Supreme Court declined to resolve an alleged circuit split over the proper application of Fed. R. Civ. P. 23(c)(4). See Martin v. Behr Dayton Thermal Products LLC, 896 F.3d 405 (6th Cir. 2018), cert. denied, 18-472, 2019 WL 1231762 (U.S. Mar. 18, 2019). While we will never know what drove the Supreme Court's decision to pass on this case, the deciding factor was likely the non-existence of the claimed circuit split (among other good reasons discussed below). Yesterday, the District Court for the Southern District of New York granted class certification in Price v. L'Oréal USA Inc., case no. 1:17-cv-00614, a case involving popular L'Oreal products misrepresented to include keratin. Plaintiffs' case is premised on the fact that the challenged products do not contain keratin and thus, plaintiffs and the Class have been damaged by paying a price premium. Plaintiffs sought a nationwide class, as well as a New York and/or California class. Not surprisingly, the District Court denied certification of the nationwide class because "some form of reliance is required under all states' laws for a fraud claim" and "[t]he viability of each class member's fraud claim turns on whether or not he or she relied on alleged representations that the Products contain keratin." As I indicated in my last blog, we've been awaiting the Supreme Court's decision in Spade v. Select Comfort Corp., ___ N.J. ___ (2018), because it was expected to bring much needed clarity to the Truth-in-Consumer, Contract, Warranty and Notice Act, N.J.S.A. 56:12-14 et seq. ("TCCWNA"). While I believe the Court got it wrong, it certainly met that goal. The question whether Rule 23 imposes an ascertainability requirement continues in the Ninth Circuit despite the issue having been settled in Briseno v. ConAgra Foods, Inc., 844 F.3d 1121 (9th Cir. 2017), cert. denied sub nom. ConAgra Brands, Inc. v. Briseno, 138 S. Ct. 313 (2017). In Briseno, the Ninth Circuit joined the Second, Sixth, Seventh, and Eight Circuits in rejecting the notion that Rule 23 requires plaintiffs to show class membership is ascertainable or "administratively feasible." Briseno presented the typical conundrum – if Rule 23 imposes an ascertainability requirement, can a class action involving an inexpensive consumer product ever be certified? The Ninth Circuit correctly recognized that these cases "would likely fail at the outset if administrative feasibility were a freestanding prerequisite to certification," and declined to follow the Third Circuit in making it virtually impossible to bring these types of class actions. As we wait for the Supreme Court to provide some much needed guidance on the Truth-in-Consumer, Contract, Warranty and Notice Act, N.J.S.A. 56:12-14 et seq. ("TCCWNA"), the district courts in the Third Circuit continue to dismiss TCCWNA claims on standing grounds. Earlier this month, in Pasciolla v. General Nutrition Centers, Inc., No. CV-16-1313, 2017 WL 3412146 (W.D. Pa. Aug. 8, 2017), Judge Hornak joined Judges Wolfson, Hillman, and Simandle in finding that a plaintiff lacks standing to bring a TCCWNA claim where she (1) does not allege dissatisfaction with the purchase, or (2) cannot identify a harm other than informational injury. See also Rubin v. J. Crew Grp., Inc., No. CV 16-2167, 2017 WL 1170854 (D.N.J. Mar. 29, 2017), Murray v. Lifetime Brands, Inc., No. CV 16-5016, 2017 WL 1837855 (D.N.J. May 8, 2017), Hite v. Lush Internet Inc., No. CV 16-1533, 2017 WL 1080906 (D.N.J. Mar. 22, 2017). Supreme Court to the Rescue? As people take to social media to run their mouths, they seemingly have no idea that their words may one day end up before a judge or jury. That's exactly what happened in State v. Hannah, A-5741-14T3, 2016 N.J. Super. Lexis 156 (App. Div. December 20, 2016), where the Appellate Division found that tweets are admissible evidence, giving a whole new meaning to the old adage "A little birdie told me. One of the ways in which defendants attempt to defeat class certification is by arguing that a class is fail-safe. A fail-safe class is "one that is defined so that whether a person qualifies as a member depends on whether the person has a valid claim." Zarichny v. Complete Payment Recovery Services, Inc., 80 F. Supp. 3d 610, 623 (E.D. Pa. 2015). In other words, a fail-safe class definition is one where the class members cannot be identified until liability is established. The Class Action Fairness Act of 2005 ("CAFA") allows a defendant to remove to federal court a class action case filed in state court if the total amount in controversy exceeds $5,000,000. As a result, it is possible that claims for punitive or treble damages can enable a case to be punted to federal court, where defendants often prefer to be. One key issue to examine is whether plaintiff seeks to treble all damages in the complaint. In Chulsky v. First Niagara Bank, N.A., No. 15-421, 2015 U.S. Dist. LEXIS 10238 (D.N.J. Aug. 5, 2015), Judge Shipp examined whether statutory damages should be trebled for the purposes of establishing the jurisdictional $5,000,000 limit. If your case has survived defendant's motion to dismiss, you have negotiated ESI, discovery is complete and expert reports have been exchanged, it's time to file that class certification motion and see if your case has some legs after all. If your case is being adjudicated in the Superior Court of New Jersey, you must satisfy the requirements of R. 4:32-1(a) and either R. 4.32-1(b)(2) or (b)(3) in order to obtain class certification. Today's blog entry will focus on the Rule 4:32-1(a) elements. When faced with the daunting task of engaging in and negotiating discovery of Electronically Stored Information (“ESI”) with your adversary, be mindful of some tips.